The Winnie is one of our smaller chalet apartments in the de l’Ours residence, so it’s perfectly suited to sole use by a group of close friends or a family and will be run by a dedicated chalet host. Situated on the first floor of the building, there are two double en suite rooms with a balcony and one en suite twin room. A warm ambience is assured due to the wood panelled walls and Alpine style of furniture typical of all the apartments here. Satellite TV , free Wifi and free access to the indoor swimming pool in the adjacent Altitude residence complete the comforts of cosy Chalet Winnie. We update Chalet Winnie's details often, but facilities do change. e.g. some extras listed by the supplier as "free" or included might only be for the first time you use them, or for one time per party, then charged for further use. If any specific feature is essential to your holiday, make sure you ask us to confirm the details of it before you book your holiday. This package holiday to Chalet Winnie in Les Arcs, France departs Sunday 15th December 2019, for a 7 night stay on a "catered chalet" board basis. A local tourist tax (Taxe de Sejour or Kurtaxe) is levied by many councils in European ski resorts. It varies by standard and type of accommodation and is age dependent, so not everyone is charged. It's not included in the basic price of your holiday and is usually paid locally. For reference, the average charged in winter 15/16 was between 50p and £2 per person, per night.
. Ask for a quote when booking Chalet Winnie. 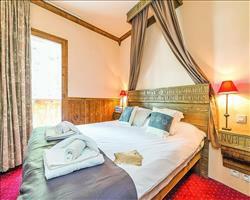 Chalet L’Ours Brun Les Arcs France, Dover Ferry 15th December. 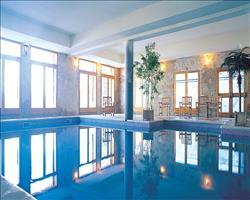 Chalet Yogi Les Arcs France, Dover Ferry 15th December. 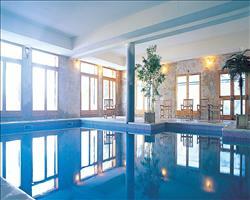 Chalet McKinley (... Les Arcs France, Dover Ferry 15th December. 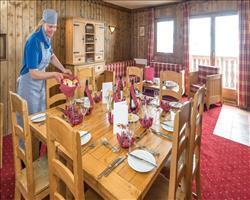 Chalet Petit Ours Les Arcs France, Dover Ferry 15th December. 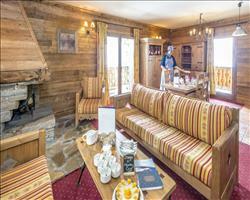 Chalet Matterhorn... Les Arcs France, Dover Ferry 15th December. 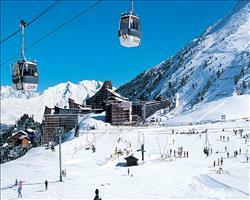 Chalet Aravis (Al... Les Arcs France, Dover Ferry 15th December. We had a really good holiday, the chalet’s really nice and cosy, the food was great and our host was brilliant and really welcoming. It has a good spot location-wise and we found it really easy to get to the slopes. Our room was fine, we didn’t have any issues with lack of storage place. There’s only one locker between the 6 of us who shared the chalet, which wasn’t a problem at all for us but might bother some people. "Nice atmosphere, close to piste"
This is a comfortable and first-class chalet in a great location, where you can virtually be skiing in minutes. The chalet is located on the first floor and has a lounge and dining room where you can relax and enjoy the top service from your hosts. At the end of the day you can wind down in a very informal environment, enjoy a glass of wine (or three) with dinner and conversation by the open fire place.